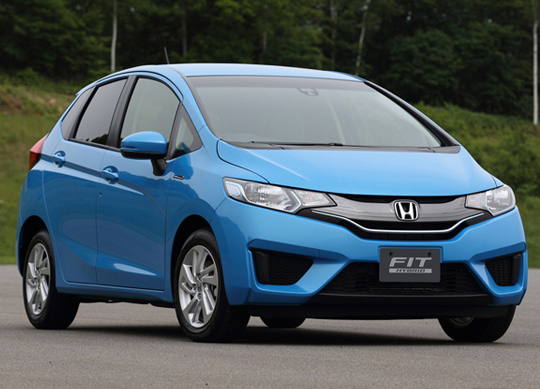 The Honda Fit always has been known as an affordable, efficient, maneuverable automobile that could do and provide a reasonable number of things for a relatively low price. But frankly, we don’t think that standard description does this exciting new vehicle justice. Completely redesigned for the new model year, the 2015 Honda Fit was recently named one of Wards 10 Best Interiors for 2015, proving that a vehicle can be both affordable and lavish. There have been a lot of changes made to the new Fit that allowed this accolade to be bestowed upon what was once considered a “budget” car. This year’s version was given a longer wheel base, which not only allowed for more leg room inside the vehicle but also for a new configuration that seems to make the entire interior appear more spacious. Throw in those trademark “Magic Seats,” which fold away in this little hatch, and versatile storage makes itself available for San Diego drivers with all sorts of varying needs. Another reason that Wards heaped so much praise on the new Fit was because of its great technology and infotainment system. This is a car that can read texts, display blind-spot clogging vehicles on the console screen via camera on the passenger-side mirror, and of course play loads of great music, including Pandora streaming internet radio, for which the Fit (and other Honda cars) features a custom interface. Bumper to bumper, this is a much-improved vehicle, but it’s the inside that warranted the respect of Wards. So far, our customers have been loving it, too.